Scuba diving is certainly not limited to the tropical waters of the caribbean or Hawaiian Islands. Here on the Iron Range of northern Minnesota our clear and excitement filled waters will give you a unique and unforgettable experience that you’ll want to share. The Iron Range is never lacking in scenic beauty. In the warm summer months this is often is found on the shore by one of Minnesota’s famously numerous lakes. The allure of the shoreside is certainly undismissable but it is hardly the whole picture. 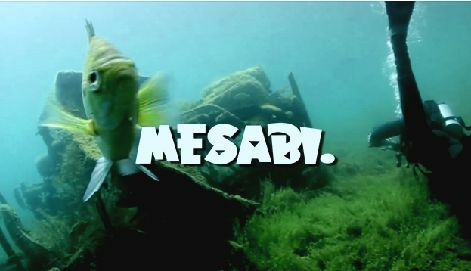 Scuba Diving on the Iron Range you will find a multitude of underwater treasures. 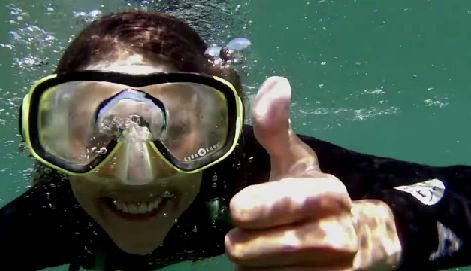 Discover a multitude of fish and other wild-life as you explore the clear depths of our various lakes. Indigenous to the lakes of this great white north is a diverse fish and aquatic animal species. You will see fish from the smallest of perch and bluegills to the largest of northern and trout swimming around you. Turtles are plentiful and if you are lucky you may even spot a diving loon. The Iron Range’s lakes and abandoned pits are bound to give you a memorable experience when you dive in to see our naturalistic beauty from a whole new perspective. To find all of the Iron Range’s ideal locations for scuba diving and access points view the DNR Lake Access Map. 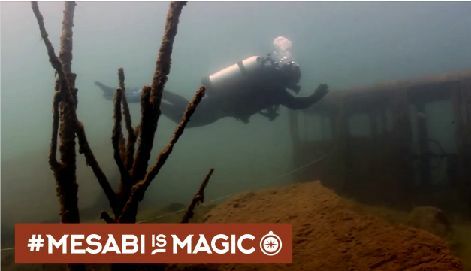 A lake bed full of long unused, and sunken mining equipment, planes and even a helicopter will be your playground when you dive the 433 foot depths of Lake Ore-be-Gone in Gilbert, Minnesota. Lake Ore-be-Gone was once three open mine pits that have since been reclaimed as a recreational lake site for the city of Gilbert, MN which is only about 12 minutes from Virginia via MN-135 N. When you are done exploring the underwater sites, you will not have to go far to enjoy an evening under the stars if you choose to stay at the Sherwood Forest Campground right on the lake. If you are looking for even greater depths to explore that is filled with a wide assortment of freshwater aquatic life then simply continue along MN-135 N and you will certainly enjoy diving in Biwabik’s Lake Mine Quarry. Lake Mine has a maximum depth of 400 feet. Stubler Mine, located 12 miles west of Virginia near Buhl, is an excellent place for a variety of summer outdoor activities. In addition to its prime diving opportunities, Stubler Mine boasts a beach, on site campgrounds, nearby hiking trails and is right on the famous Mesabi Trail giving you access to miles of biking.